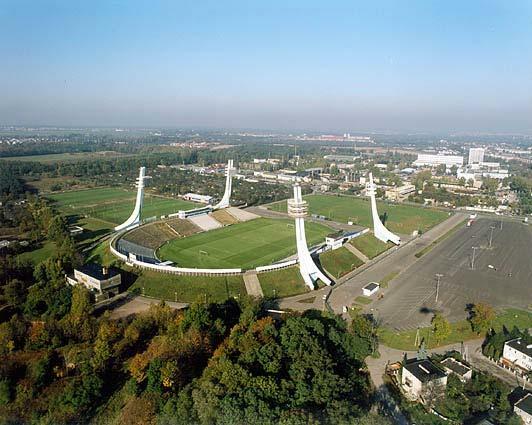 INEA Stadion, previously known as Stadion Miejski, opened in 1980 after a construction period of 12 years. It officially opened on 23 August 1980 with a match between Lech and Motor Lublin (1-1). Three years later, Stadion Miejski recorded its highest attendance when 45,000 people attended a match between Lech and Widez Lodz. As the official capacity of the stands was much smaller than this, this meant that a large number of people were watching the game from the edge of the pitch. Stadion Miejski at that time was bowl-shaped with stands on three sides. It was built on top of large earth embankments. One of its most characteristic features were the 56-metre high floodlights that got installed in 1986. 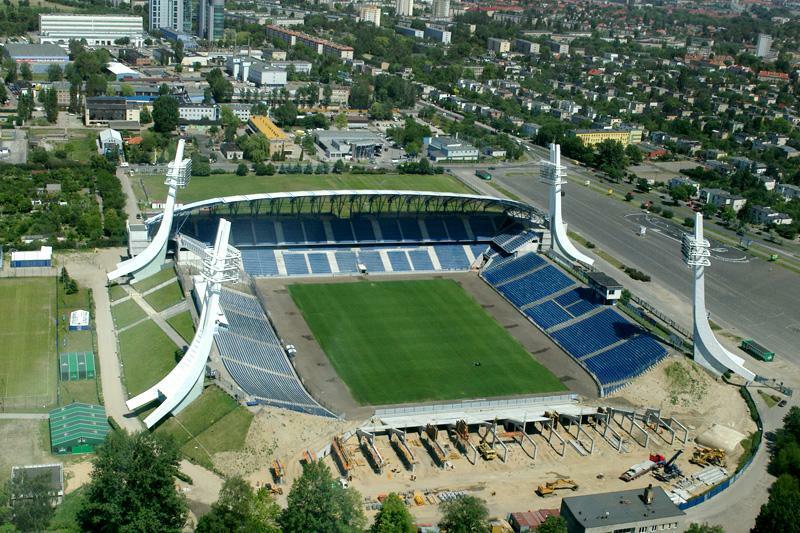 In 2005, the city of Poznan started a major redevelopment program to modernise the stadium. Plans were later upgraded to make the stadium eligible as one of the playing venues for the Euro 2012 championships. The first new stand opened in 2007. At the same time, the earth embankments were removed, and in the three years that followed the other three stands got rebuilt. The completed stadium reopened in September 2010. During the Euro 2012 tournament, three group matches were played at Stadion Miejski. In 2013, Stadion Miejski got renamed INEA Stadion following a sponsorship deal. 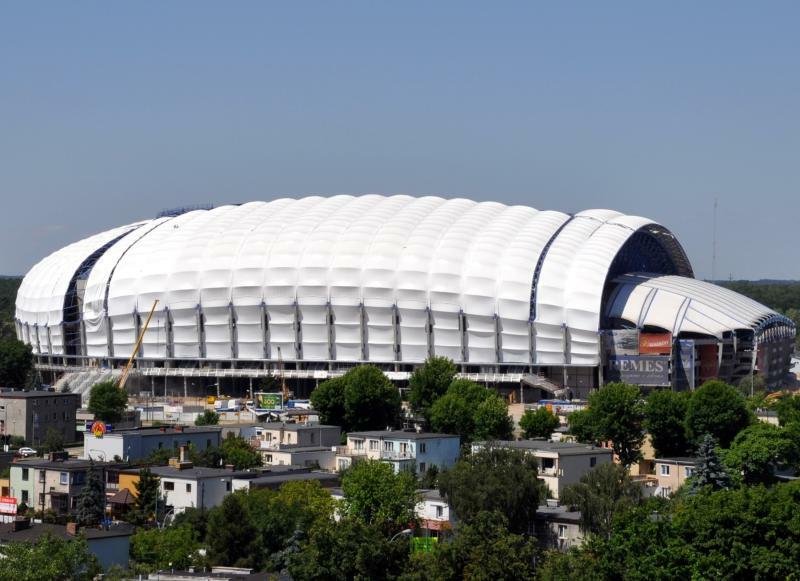 INEA Stadion is located in the south-west of the city of Poznan, about 5 kilometres from the city’s old town. The main railway station lies slightly closer at 4 kilometres from the stadium. The stadium can be reached with tram 6, 13, and 15. Tram 6 and 13 can be taken from the main railway station and southern edge of the old town, and tram 15 from Roosevelta Avenue west of the old town. Take any of the trams in the direction of Węgorka, and get off at stop Stadion Miejski. The journey from the railway station takes just 10 minutes. 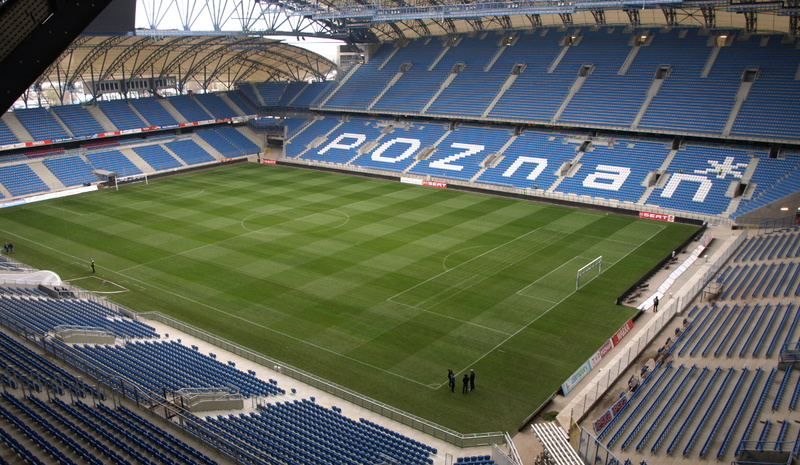 Tickets for Lech Poznan games can be bought online, at the ticket windows of the stadium, or at one of the other sales points, of which the TIFO shop at the ul. Ratajczaka 20 and Intersport shop at Stary Browar shopping centre, both in the city centre, are the most conveniently located. Tickets can also be bought at the stadium on the day of the match. Lech sell out very few matches. Polish citizens need a Lech Fan Card (Karta Kibica) to buy a ticket, which can be acquired at the club office at the stadium. Foreigners should be able to buy tickets with just an ID. Ticket prices typically range from PLN 40.00 for a seat at one of the ends to PLN 60.00 for a central seat at one of the sides. Tickets are PLN 5.00 cheaper if bought in pre-sale. Email bilet@bilety.lechpoznan.pl for more information. Lechpoznan.pl – Official website of KKS Lechia Poznań. Visitpoznan.info – Poznań tourism portal. Ztm.poznan.pl – Poznań public transport information. This stadium is nice, both inside and outside. The fans are the best in the country( it comes from a neurtal person). I went to watch Lech against Wisla and it was an amazing day. Great game and great support. Reaching the stadium is very easy. Poznan is a nice place to go and i would highly recommend it to everyone.